She represents employers in employment litigation (including class actions) pending in state and federal court. She also represents employers in actions against former employees in trade-secret and embezzlement actions that require immediate restraining orders, injunctions and/or liens. She also assists employers in establishing work rules and registering those work rules with local labor regulatory agencies in countries throughout Latin America. Obtained declaratory judgment in favor of a California technology company and successfully opposed its competitor company’s efforts to enforce a noncompetition provision that would have precluded the California company from employing an executive who had previously been employed by the competitor (a non-California based company). Obtained a judgment in favor of a global commercial battery manufacturer and service provider in a disability discrimination and failure to accommodate case filed by a former employee pursuant to the California Fair Employment and Housing Act by establishing that the employee was terminated in compliance with the employer’s non-discriminatory leave of absence policies, and by demonstrating that the plaintiff could not meet his burden of establishing that the employer’s decision was motivated by discriminatory animus. One of two partners who represented CLS Transportation in the pivotal wage and hour class action Iskanian v. CLS Transportation Los Angeles, wherein the California Supreme Court held that Concepcion v. AT&T overruled the state's Supreme Court decision in Gentry v. Superior Court, affirming the decision that class action waivers in employment arbitration agreement are enforceable. Yesenia also serves as co-chair of the firm’s Diversity Committee. 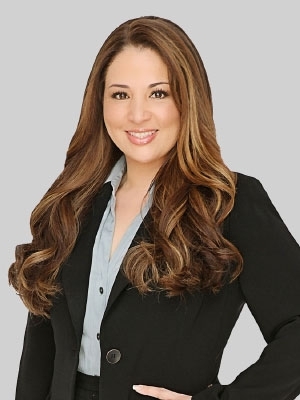 Yesenia served as the Hispanic National Bar Association's (HNBA) Regional President for Southern California from September 2013 to September 2014, and chaired the HNBA's Annual Charity Tennis and Golf Classic (April 2014). Yesenia also served as the National Chair of the Women’s Leadership Conference, which was held in conjunction with the Hispanic National Bar Association’s Mid-Year Corporate Counsel Conference in New Jersey from March 28 to March 31, 2012. While in law school, Yesenia was part of the international study program in Bali, Indonesia, where she took international and environmental law courses and interned at the Nature Conservatory. An active author and speaker, Yesenia served as associate literary editor and technical editor for the Maritime Law Journal from 2000-2002.